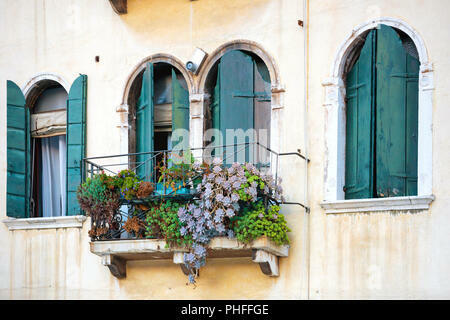 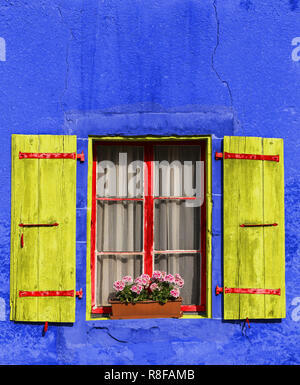 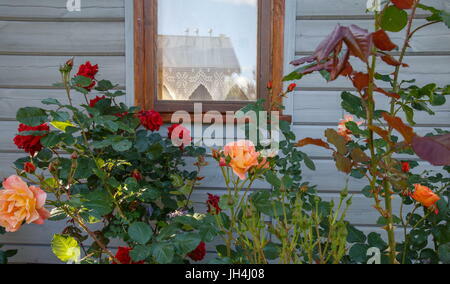 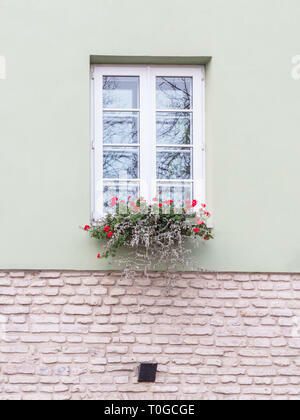 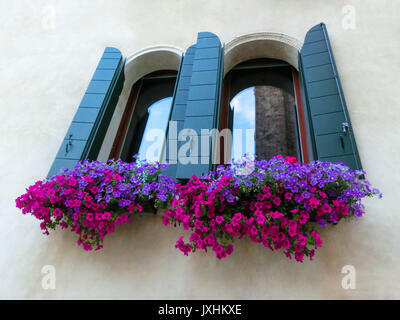 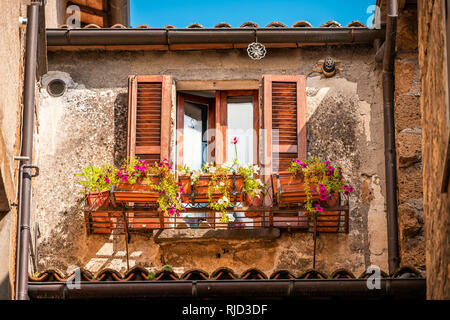 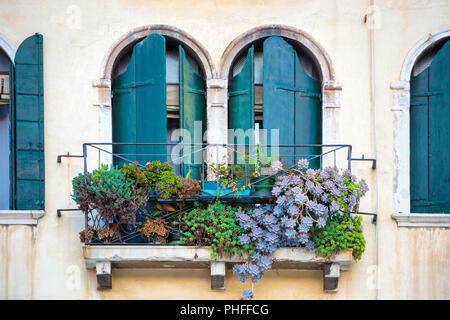 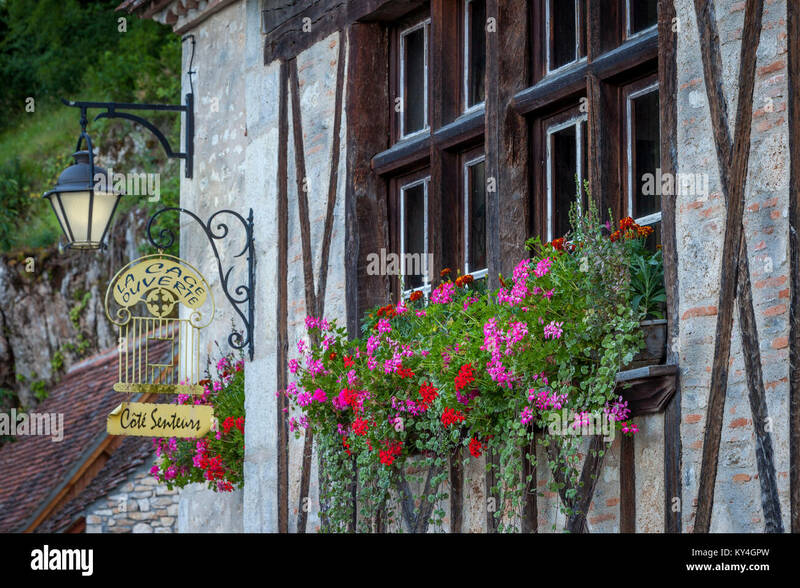 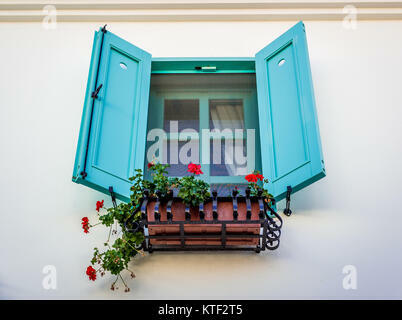 Typical european window with flowers. 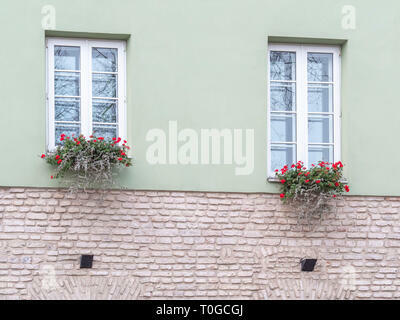 Flower box below a windows on an apartment building. 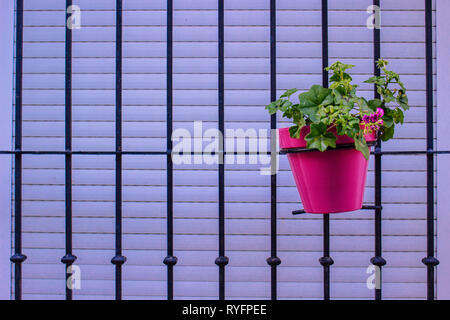 Flower in a pot. 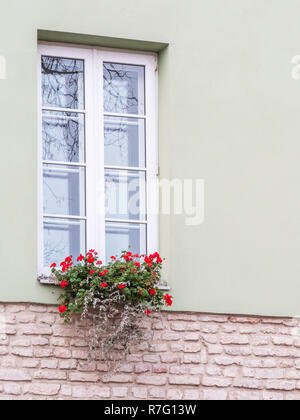 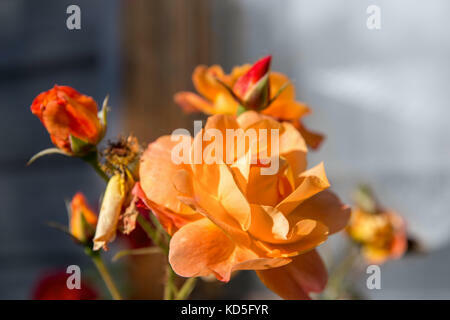 Pot of flowers standing on a windowsill.